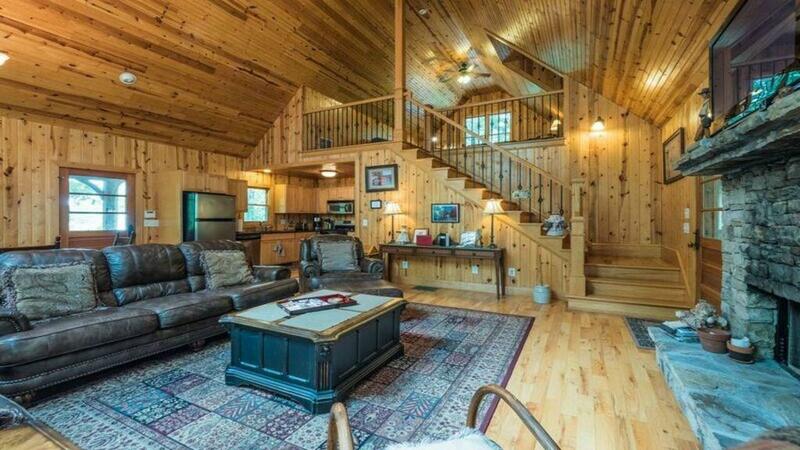 Excellent rental history in this riverfront cabin! 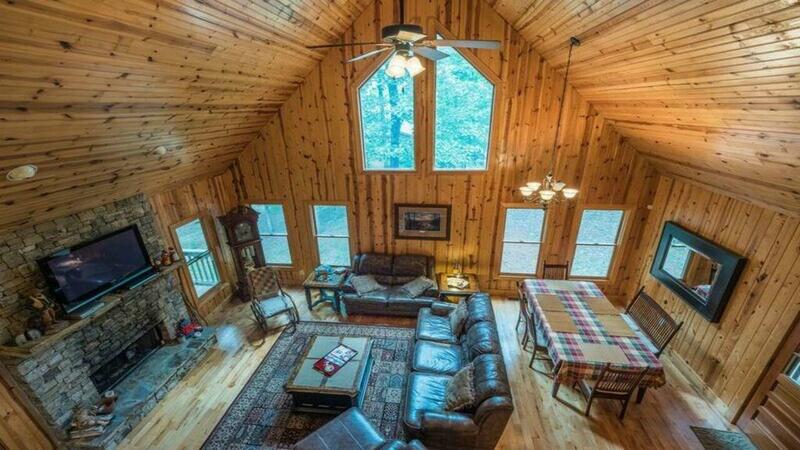 150' Chattahoochee River frontage. Open floor plan, master on main, loft bedroom. Master with french doors accessing covered porch overlooking river. Stone fireplace with gas logs. 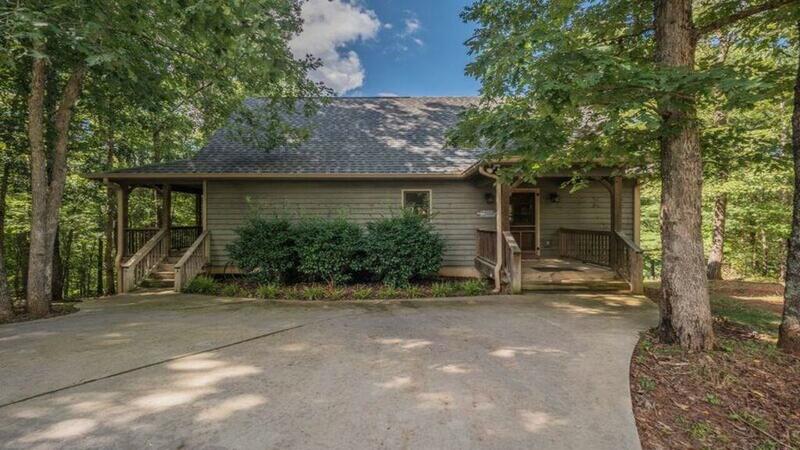 Full finished basement with 2 large bedrooms, full bath and game room which opens to lower level deck with hot tub. New fire pit and walkway recently put in. Full time living, or use as income property...it will pay for itself! Close to Alpine Helen, easy access to Highway 365. 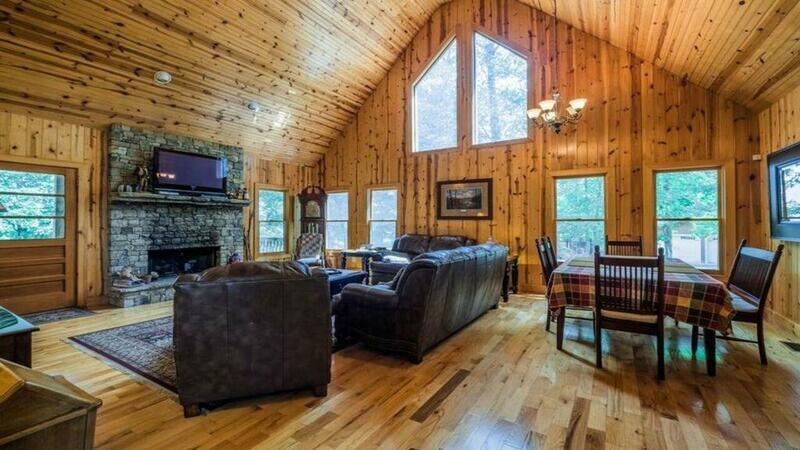 Listing provided courtesy of Fourth Mountain Real Estate.